I’m a Professional Certified Coach, a Master NLP Practitioner and a pioneer of life coaching in Ireland. 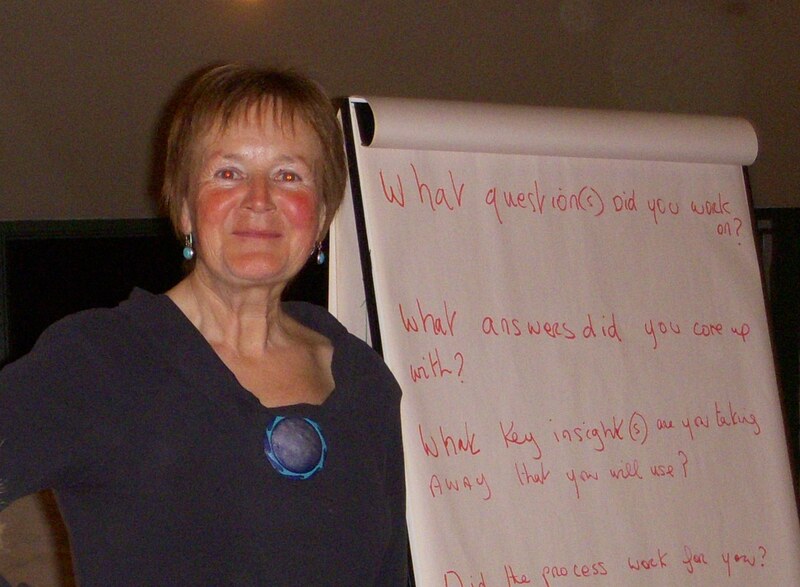 My coaching extends across Belgium, France, Germany, Poland, Russia, Spain, the United Kingdom and United States. I have been quoted extensively in the Irish Media and interviewed on radio and television. Setting up my own business in Jan 2001, I was one of the first coaches in Ireland to qualify as a Professional Certified Coach. My education continued through sabbaticals, retreats and further coach and leadership training in the UK and USA. I was Irish Ambassador for World Leadership Day from 2009 to 2011. Since 2001, I have coached hundreds of people to step out of their comfort zone and focus on and realise their ambitions (See Success Stories). I delivered the Personal Vitality Programme regularly in the Tipperary Institute and I speak on ‘Trusting yourself in business’, ‘Managing the manager through change’ and ‘Wellbeing at work’. I have seen the results time and time again in my own life and in the lives of those I coach. After years of wanting change but getting nowhere, being coached by a powerful coach caused me to radically change how I lived my life. It took two years of personal development coaching to set me free of my own bad habits and blocked thinking. I’ve watched the people I’ve coached make powerful choices for the better; felt their relief when they discover what is holding them back and enjoyed their surprise at how free they feel when they are true to themselves. The power is in having someone strong supporting you, championing you; seeing your potential, believing in you. You’re being challenged, made feel uncomfortable too if that’s what it takes so you’ll grow and be all you can be. My move into coaching came about after the company of seventy five people I worked in merged with a large multinational in 1997. They merged again a few years later with one of the largest pharmaceutical companies in the world. The shock to my system as the entrepreneurial culture was transformed slowly and painfully into a corporate one, prompted me to hire a life coach based in Israel. I took control of myself, became more strategic and progressed within the organisation. However, after a brief trip to Israel, I had found the work I really wanted to do. I trained as a coach for four years with Coach U and set up my own business “Your World Your Way” in Jan 2001. I work on developing my abilities all the time and continue to stretch myself through hiring my own coaches when the need arises. Studying philosophy and leading edge thinking and techniques also keep me on my toes. A sabbatical in 2006 provided the groundwork for my new business “Reaching Your Potential”, which takes Your World Your Way to a higher level. The emphasis is on reaching your potential and being a positive influence on the world around you. In effect by working together we play our part in creating a world that works for everyone. If anything about my story strikes a chord with you and you are ready to reach Your potential, it will be a privilege to work with you.